Dr. Jason Sparks specializes in diseases of the spine with extensive training in motion preserving devices such as disc replacement as well as minimally invasive techniques, including endoscopic discectomy. He is passionate about exploring all non-surgical options available for neck and back problems prior to recommending surgery. Years of formal training at Truman State University, A.T. Still University and first-hand experience in the medical field has allowed Dr. Sparks to become a skilled professional. Finding and fixing the root of the problem and pain is the way he practices medicine. In addition to his work he is associated with the the American Osteopathic Association, the American Osteopathic Academy of Orthopedics, the North American Spine Society, the International Society for the Advancement of Spine Surgery, and the Society for Minimally Invasive Spine Surgery. 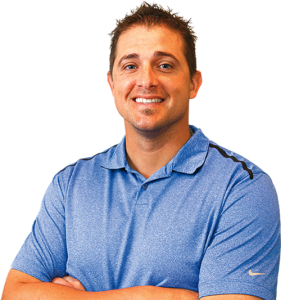 Dr. Jason Sparks is happily married to his “beautiful wife, Amanda” and has four “wonderful children.” In addition to providing effective care, Jason encourages people to be physically active every day, because he believes exercise is the number one way to lead a happy and healthy life.